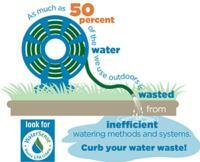 Water Use Calculator - Saving water at home is easy. First, use this simple calculator to find your average annual water use and learn ways to save. Then talk with the other members of your household about the ways everyone can make water conservation a daily habit.